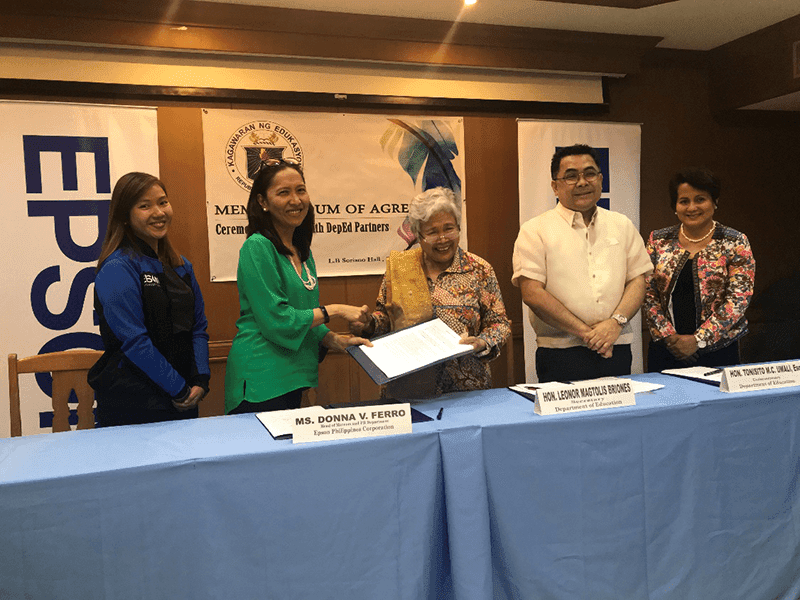 Epson PH and DepEd strengthens their partnership to improve the Gift of Brightness project. This project aims to give deserving schools the tech they need. Epson has been very active when it comes to supporting the youth and the improvement of the quality of education they receive. They support various projects including the Gift of Brightness which started in 2013. The donations Epson made before is a complete technology package which consist of Epson printers, projectors, scanners, label printers, document cameras and a year's supple of inks and cartridges. Since we started the program, there have been 45 beneficiary-schools, 27 of which were coursed through the Department of Education for the selection process under our partnership for the past two years. We believe that by offering detailed innovation, which is at the heart of all Epson products, we can contribute to uplifting the learning experience for the students. We hope that through the Epson Gift of Brightness, we can help bring brightness and inspiration. DepEd Secretary Briones said the help their stakeholders and partners can easily be compared to giving the children their helping find the true meaning of Christmas.